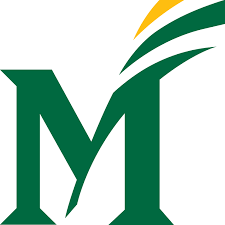 The George Mason University Psychology Department invites applications for a tenure-track Assistant Professor position for an individual who specializes in Magnetic Resonance Imaging (MRI) methods relevant to Psychology, to begin in the Fall 2019 semester. The Department of Psychology (https://psychology.gmu.edu/) has nearly 40 faculty, over 1,000 undergraduate majors, and over 200 graduate students. We are one of the largest departments in the lege of Humanities and Social Sciences, which is the largest academic unit at George Mason. Three primary foci guide our department. First, the department is focused on fostering diversity, equity, and inclusion at all levels in our department and, more broadly, in our field. This mission is facilitated by our location in one of the most diverse regions of the country and by George Mason's status as the most diverse university in Virginia (https://www2.gmu.edu/about-mason/diversity-mason). Second, in line with George Mason's Carnegie classification as a Research I university and its strategic goal of conducting research of consequence, our department focuses on being a prominent center for translational research. Faculty and students in our department conduct high quality, rigorous research on pressing problems and work to disseminate knowledge in both academic and non-academic circles. Third, we focus strongly on our training of doctoral students across all five of our doctoral programs (applied developmental psychology, clinical psychology, industrial/organizational psychology, cognitive and behavioral neuroscience, and human factors and applied cognition). Our faculty are highly dedicated to the success of our doctoral students, and our programs have continually increased in rankings over the years. The successful candidate is expected to maintain a highly productive, impactful, and laborative research program, teach graduate and undergraduate courses in neuroimaging, cognitive science/neuroscience, quantitative methods, and/or clinical or applied psychology topics, and ect and advise graduate students. We are looking for individuals with a Ph.D. in psychology or neuroscience (or a closely related field); a strong research record; and evidence of, or potential for, excellence at teaching/mentoring and obtaining external funding. Candidates who will have a Ph.D. conferred before the start of Fall 2019 classes will be considered eligible for this posting. The area of specialization is open; however, the department is seeking an individual with expertise primarily in MRI acquisition (e.g., fast EPI, VASO, diffusion, pediatric imaging), analysis (e.g., connectomics, multivoxel methods, computational modeling), or both. This individual will take full advantage of the facilities of Masons new Multimodal Imaging Group, which includes a new Siemens Prisma 3T MRI, 64 channel MRI compatible EEG system, transcranial magnetic stimulation (TMS), and electrical stimulation (TES). The successful candidate will be able to affiliate with one or more of the department's five doctoral programs. Additional laborations are also available with other Mason departments, including Bioengineering, Mason's Interdisciplinary Neuroscience Program, and the newly ed Center for Adaptive Systems in Brain-Body Interactions (CASBBI). All hires in the department are expected to be highly competent in quantitative methods. Additionally, applicants who have a history of extramural funding, a strong publication record, the ability to mentor and teach MRI methods, and the ability to contribute to a culturally inclusive environment will be given preference. For full consideration, applicants must apply for position number F5250z athttp://jobs.gmu.edu/; complete and submit the online application; and upload a cover letter, research and teaching statements, and a CV. Also, three letters of reference should be submitted in one of the following ways: uploaded online, e-mailed tosridley@gmu.edu, or sent via USPS mail to Ms. Susan Ridley, MRI Search Coordinator, George Mason University, MS 3F5, Fairfax, VA 22030-4444.